The Work Package will address the question as to what technological developments are required in order for the extraction of shale gas within Wales to occur with minimal environmental impact and minimization of resource needs. Shale gas can be a possible substitute for more carbon-intensive fossil fuels. Natural gas has higher conversion efficiency than traditional fossil fuels. For example, producing electricity using a natural gas combined-cycle turbine is about 30% more efficient than using a state of the art coal plant. A move to gas would be a step towards low to no carbon emission electricity generation system. Natural gas, which currently accounts for one quarter of the EU’s primary energy consumption, could contribute to the reduction of greenhouse gas emissions in the short to medium term, should it replace more carbon intensive fossil fuels. For an equivalent amount of heat, burning natural gas produces about 30% less carbon dioxide than using petroleum and about 45% less than burning coal. As a consequence of the transition from coal to shale gas for electrical generation the USA has become the first major industrialized nation in the world to meet the United Nation’s original Kyoto Protocol 2012 target for CO2 reductions (despite not being a signature of the Protocol). Natural gas is an ideal accompaniment of intermittent renewable electricity generation, ensuring grid stability during times of peak demand in a way that coal or nuclear plants cannot. However, the shale industry is still in its infancy hence the inconsistent quality of the evidence that has until now been available. There is a knowledge deficit especially outside of the United States with a lack of comprehensive and independently corroborated and verified data on geology, the results of exploration drilling and long-term production levels of wells. Shale gas resources are thought to be, geographically, broadly distributed across Europe and can therefore provide an indigenous source of natural gas reducing dependency on non-EU energy suppliers and adding diversity to the EU’s supplies. As noted by the Commission in its Recommendation of 22 January 2014, shale gas activities also have the potential to bring direct or indirect economic benefits to EU Member States, regions and local communities as well as enterprises and citizens, for instance through regional investments in infrastructure, direct and indirect employment opportunities, and public income via taxes, fees and royalties. a)	Laboratory experiments: application and continued development of the ESRI laboratory at SU. Research of liquid propane and supercritical carbon dioxide injection, fracture mechanics, and the design of alternative proppants will be studied. b)	Field experiments: Water samples will be collected from sites within geographical relevance to Wales’ shale reserves. Characterisation will be used to demonstrate the processes that will be needed for its use. c)	Demonstrator site: continued collaboration with industrial partners (eCORP UK), initially for input into the laboratory and computational modelling works. Ultimately it is hoped that a demonstration of the technology can be achieved at their test site in the UK. The main topics that will be addressed are described below. Traditional hydraulic fracturing (or fracking) uses 1–10 million gallons of water per well, of which only 20-30% is returned to the surface. Thus, there is a need for between 700,000-7,000,000 gallons of water per well that is “lost”. Even in areas with significant rain fall such as South Wales this need would be a significant drain on local water supplies. One advantage the UK (and Wales) has over the US is that the geographic size makes it possible that sea water can be used for fracking, thus removing the competition with other uses such as agriculture and human consumption. One of the needs for a successful well is to match the salinity of the frac water to the natural salinity of the formation. In most cases that will be between 10,000-70,000 ppm, and ideally 30,000-70,000 ppm TDS would be used. Lower values are acceptable since additional salts can be used. However, calcium is a problem if it gets too high, as is iron, above a 100 ppm. The key issue is the removal of particulates, organic material and biological matter. 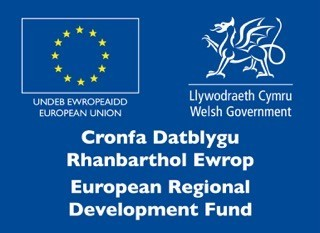 The proposed research will investigate the use of Welsh bay water as a low cost renewable source of frac water. We will study how various coastal waters vary with time and season and how best to treat them to create a uniform water supply without impacting the water table or competing with local individual wells. One of the other issues with water fracking is not only the need for large volumes, but that significant well damage occurs that limits the recovery of oil or gas. Thus, causing a greater number of wells to be drilled with the associated environmental impact. Back in 1953, Morris Muskat, in the journal Industrial and Engineering Chemistry, stated that “laboratory experiments have demonstrated that complete removal of oil from a porous medium can readily be obtained by displacing it with the liquefied… propane”. While Canadian producers have tried propane stimulation, they have had to add significant chemicals to the propane in order to mobilize the proppant. Hydraulic fracturing (‘fracking’) involves injection of high pressure fracturing fluid into low permeability hydrocarbon reservoirs, cracking the rock, opening-up high conductivity pathways. To prevent fracture closure, proppant materials are injected with the fracturing fluid. The proppant particles jam in the fractures, propping them open, allowing hydrocarbons flow in the pore space between the grains and thus facilitating the flow. Proppant materials should be hard to prevent breakage, round and well sorted to achieve a high permeability. Mined sands have traditionally been used however, it is of too large a size and density to allow transport. The proposed research will develop a new experimental and modelling understanding of the transport of particles in liquefied gases such as propane. The research team has strong disciplinary expertise.